The depressions may have been caused by repairs at a property with sinkholes. 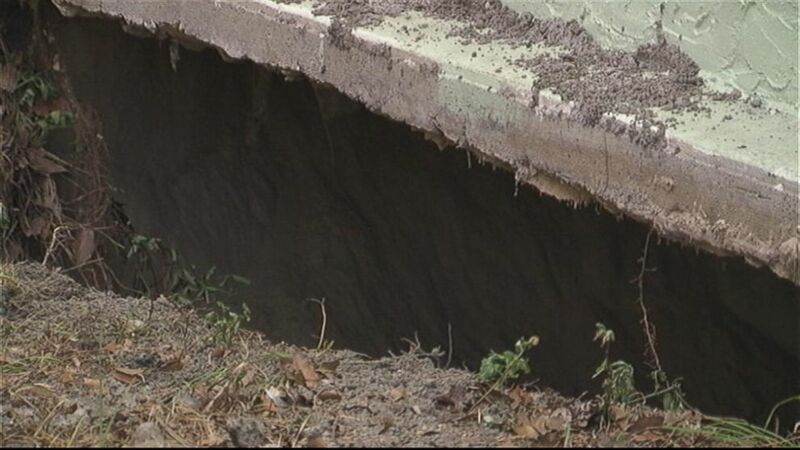 Multiple depressions in a central Florida neighborhood that may have been caused by repairs to a property that had sinkholes led to six homes being voluntarily evacuated. The size of one of the depressions in Port Richey on Friday was estimated to be about 10 to 20 feet in diameter and 15 feet deep, reports ABC station WFTS-TV in Tampa Bay. Fire officials were worried that the depressions could further expand, reports WFTS-TV. Meanwhile, authorities were planning to stay in the area overnight to monitor the situation. (WFTS) Six homes were voluntarily evacuated in Port Richey on June 26, 2015 after multiple depressions opened in a neighborhood at 7425 Neva Lane.